I am more convinced than ever that, in our culture, 5% or fewer still know how to dream; and those folks who do, have made goal setting a habit, because they believe their dreams are possible and that goal setting and taking action are the way to make their dreams come true. Are you one of the 5%? If not, how can you join the 5%? First believe that you can. Watching this video will help! Success and failure depend on what the mind believes is possible. If Roger Bannister accepted that the four-minute mile was a physical limitation, he would never have tried to break it. Dont let the barriers that exist only in your mind hold you back from achieving your personal best. You can achieve anything you believe is possible, and that is consistent with who you are. But no dream is possible unless it is greater than your biggest obstacle. Do you remember all the big Dreams you had when you were young? Dreams so exciting that you could barely wait to grow up so you could pursue them? You had those dreams for a reason  perhaps God was casting a vision of what is possible for you. Somewhere along the travels, trials and tribulations of life you may have forgotten your goals, been distracted, or believed others whod already lost their dream and convinced you that yours wasnt possible either. What really motivates you and ignites your passion? Can you see where your talents and passion intersect – your ‘Sweet Spot (= the real you)? Can you see how the JP+ Virtual Franchise fits in your ‘Sweet Spot‘? If not the JP+ VF, then what income generator does fit? Operating in your ‘sweet spot’ keeps that passion burning so you achieve your biggest wildest goals? Most people in America ‘dream’ of being debt-free – how about you? But is that a worthwhile ‘dream’? Think of the homeless: they are debt-free (now), but they are also destitute. That’s not what you are dreaming of, I know. Surely the ‘dream’ is really being financially free, having financial peace. Becoming debt-free is one milestone on that road to financial peace, but it’s not the destination. In fact, financial peace is not, in itself, the dream; the Dream is what your life will look like (feel like, smell like) when you have financial peace. True? That life will look like “debt-free, strong income, spending less than you earn, saving and giving generously, making a difference in the unique way that only you can”. Hmmm; I know that place! In the same way, even though your Dream should not be ‘success’ (whether in your job, in another business or in your Juice Plus+ Virtual Franchise), that success is vital because it will help you realize your Dream. “People will want to be part of what you do, when they understand and are inspired by WHY you do what you do”. Your team and your business will grow to the extent that you are able to communicate WHY you do what you do as you share your Business Story. Your Why is, essentially, the future life you envision, fully empowered by your Dreams coming true, as a result of successfully building your Juice Plus+ Virtual Franchise. That makes your Why, your Dreams and your Business Story very, very important. Sit down with this Miracle Question and invest time answering those questions and your BIG Dreams will surface – the WHY for your very life! 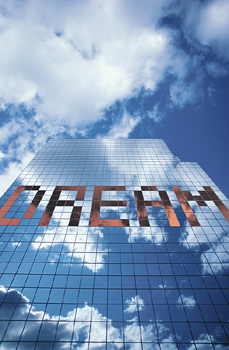 It’s vital that your Dream be very visual, totally inspiring, motivating you to meaningful action. If you can really dream, if you can ‘see’ your life as it will be when you realize that Dream, you will set Goals and you will take action, because you know your Dream is real and your future life will be just what you dream it will be. What’s the alternative…? Your Goals (and the action they inspire) will fill in the gaps between your today and your future Dream realized. If you develop a passion for the Juice Plus+ Virtual Franchise (you will own the very best business model out there), if you study and complete your Business Plan each month (you will have a proven track to run on), if you employ your coach (you will have someone to encourage you and, with your permission, keep you accountable) … if you do all three, there will be no stopping you or your success.